Judt the first site I opened got my attention with the service areas listed on the right. Would have given 5 stars except the cost was much higher than the competition. Great service and could not have been happier with the tech. Precision got there first and is a reputable company. 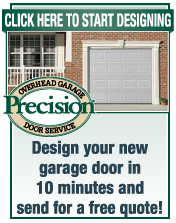 I found Precision Garage Door online by google search it. I chose it because of the excellent reviews I saw online. I called one of the local numbers and was scheduled immediately. Mike, the senior technician showed up on time. He gave me a couple of options of fixing my broken garage door, and I chosed installing a new one. The quote is very reasonable, and Mike explained it to me very clearly. The crew came and installed my new garage door the very next day. Everything was fine when the crew left, but a day later, I heard an unusual 'Boon' noise everytime when I try to lift my garage door. I called Precision Garage immediately, and was scheduled with Mike for another appointment again. He came on time, and fixed my problem immediately and professionally. I am very satisfied with Precision Garage door Service, the reason I gave 4 stars instead of 5 stars is the crew who help me installing the garage door has poor English communication skills and reluctantly to do more work which is the work they supposed to do. After they left, I found several screws scattered on the floor and my driveway which is a potentrial hazard to my tires. 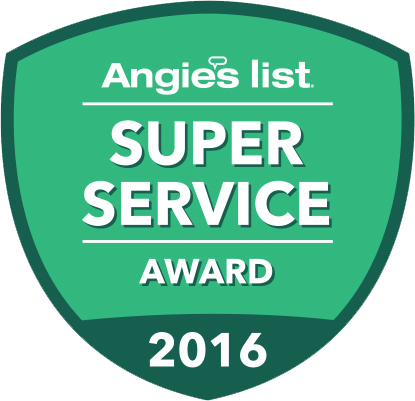 Overall, I like Precision Door service, friendly and efficient customer service, professional and knowledgeable technicians. Mike replace our garage door opener and springs. He did an outstanding and very thorough job. He went out of his way to make sure that the job was done right since there were problems with how the garage door was attached to the house from before. He explained all that he needed to do and how to use the new garage door opener. He even programmed my car to open the garage. The only complaint that I have was that he had a borrowed truck which wasn't fully stocked (didn't have springs). This caused a delay in starting my service of 45 minutes. I was told that the technician would have a fully stocked truck. I shouldn't have had to pay the $50 service fee. We were expecting a big bill at the end of the work. It seems like everything is a minimum thousand dollar repair these days. We were first surprised when they confirmed the appointment by email and then showed up on time. Our second surprise was the price of the service...fair and reasonable. What a breath of fresh air. This company has its act together. They are tech savvy and know how to operate in today's world. Great job! I am happy with the speed of service, but would have liked it if the opertor had told me ahead of time that there would be a $50 service charge, even though I have my opener less than a year. I expected that the warrenty would apply and was unprepared for such a large charge. The technician arrived when they said he would, but it was not the one they said would be here. He was efficient, however, polite, and knew what to do to fix our problem. I did think the cost was a little high, but I don't have anything to measure that by. The main thing is that we got the problem fixed, and on a Sunday. Precision looks and acts very professional. We were happy Jesus had all the right parts on the truck and could complete the job the same day. 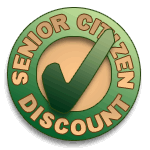 Very nice technician - we would recommend these guys to anyone. - Diane and Herb S.